ATTENTION! RESERVATION OF APARTMENTS IS FROM 2 DAYS! AT ACCOMMODATION IN APARTMENTS FROM 3 DAYS, FLEXIBLE DISCOUNT SYSTEM OPERATES. Two-room apartment "Home comfort on the street. Plumbing "are located near the railway station, just a 5-minute walk from the stadium" Podillia ". Convenient transport interchange allows you to easily reach any part of the city. The apartments are equipped with modern kitchen and bathroom, which makes it possible to feel at home. 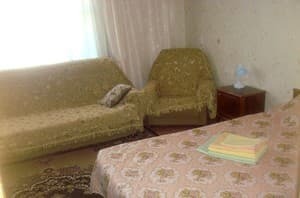 The apartment is equipped with home appliances: refrigerator, microwave, gas stove, electric kettle, hairdryer, washing machine, as well as bed linen and dishes. Free Wi-Fi is available. From the apartments you can easily walk to many restaurants, cafes and shops. 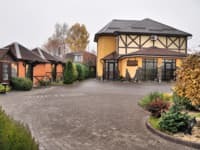 Free parking for guests who arrived by car is provided in the courtyard. The distance to the railway station is 1.5 km. Description of the room: The apartments are located near the stadium, "skirts". The bedroom is equipped with a double bed and a sofa bed in the living room - double bed. PRICE PER rate is for single occupancy. The apartment can accommodate 6 people. Extra GUEST + 7% .If the couple is placed on Double - VALUE AS FOR 1 GUEST. Extra beds are available on request. Check the price for the reservation. The apartment has a fully equipped kitchen for self-catering. 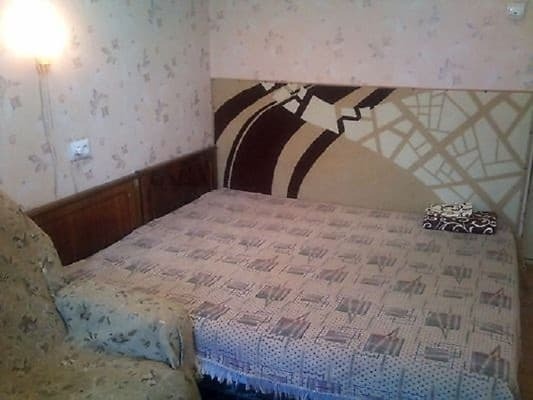 Two-room apartment "Home comfort on the street" Water "is located near the railway station, just a 5-minute walk from the stadium" Podillya ". The distance to the railway station is 1.5 km. From the railway station can be reached by shuttle bus number 23, 24 (only 2 stops).